This week we looked at the motives and methods of chivalry in the medieval period. As a high ideal, medievals never really lived up to it, but such is the case with all high ideals. While they fell short of the standard they set for themselves, the ideal at least set the bar high and gave them something to aim at. Chivalry’s heart still beats faintly in much of the modern conception of manners, so all in all I think we can say it’s had a good run. Chivalry has many origins, but one of them surely comes from the medieval Church’s practical realism. Man will not attain perfection. War will always be with us. But that did not mean that civilization could not seek to limit the effects of war. Limiting war’s collateral damage meant among other things, strict rules governing how and when people could fight. To perhaps better understand we need only to imagine another kind of contest, like a basketball game. We know when the game is over, and we know who has won. We know this for more reasons than the score. Both sides have agreed on the rules beforehand. A clock tells you when time expires. Referees stand ready to enforce rules that help make the contest fair. No one likes losing, but when you lose according to the rules, you can accept it, and stop playing. The ‘war’ is over. Suppose the final horn sounds, and team ‘A’ is ahead 50-48. But what if to score the last basket and pull ahead, the point guard of team ‘A’ punched a guy in the stomach to get a clear lane to the hoop? If noticed by the ref, the basket would not count. It’s not just the score that determines the winner. Suppose now that the ref did not see the punch, and therefore the basket counts. Will team ‘B’ accept the result? Would the game be over for them? Ask the USA basketball team from the 1972 Olympics if they think they lost the gold medal game. . . Imagine if no rules governed how people played basketball. At first, an someone would throw an elbow, then a punch. Maybe someone brings brass knuckles onto the court. A player might run out of bounds but now no out of bounds exists. What would happen would quickly cease to resemble anything like basketball. The contest would not test basketball skill but instead, each sides cunning use of violence. War needed to have a definite defensive purpose. They justified fighting when done only for those that could not fight themselves. The limited when they could fight. No fighting on Sundays. Or Fridays. Or during Lent, Advent, Easter, Christmas, Pentecost, feast days, and so on. They limited who could fight, which was both by accident and design. Learning how to fight on horseback with armor took a lot of training. Thus, only those who had the time to train would fight, which restricted it to the special class of nobles. The idea of showing deference to women inspired a whole new set of manners, poetry, literature, and so on. I can’t think of any other civilization that exalted the feminine ideal to such a degree. A quick comparison of ancient and medieval art reveals this. For civilization to survive, we need people willing and able to defend it. We do a fearful thing during war when we hand over the fate of our civilization to men practiced in the arts of violence. 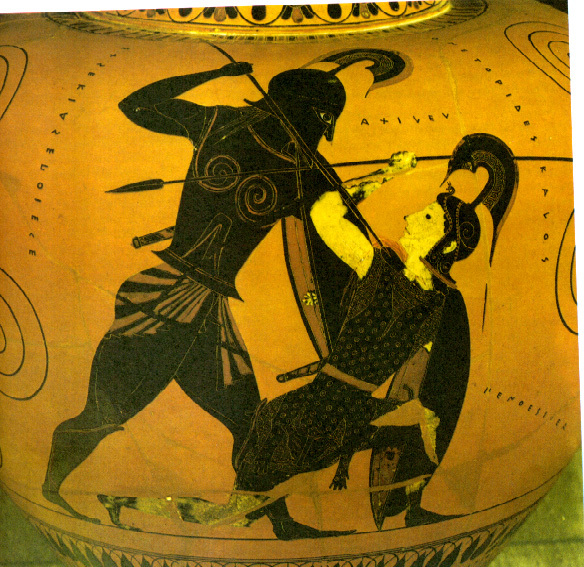 Killing machines like Achilles will defend us, but then drag us down with them in a spiral of violence. After the Trojan War, Greece descended into a Dark Age. After Rome’s victory over Carthage, their Republic flew apart at the seams in an intermittent civil war that lasted for a century. Chivalry sought to stop the cycle of violence and allow civilization to return after the fighting stops. Women today have many more rights, and have much more equality with men than they used to. But modern women face a dilemma. Can chivalry and equality co-exist, or do they cancel each other out? If so which ideal should we prefer? If they can co-exist, how would they do so? We had an interesting discussion about holding doors open. All the girls agreed that they liked it when guys hold the door for them, at least under most circumstances. But guys almost universally agreed that they did not like it when girls held door open for them. Why might this be? Is it sexist for the guys to think this, or are they onto some fundamental truth about the nature of male and female? I asked the students whether or not any objected to having a girl’s soccer team, and no one did. But just about everyone agreed that a girl’s wrestling team wouldn’t just be weird, it would be “wrong.” And yet, 100 years ago many would have thought that women wearing pants was fundamentally wrong (i.e. women shouldn’t wear men’s clothing/cross-dress), whereas today we don’t give it a second thought. How can we know the difference? Knowing where to draw the line between relative cultural difference and eternal principle requires a great deal of discernment. 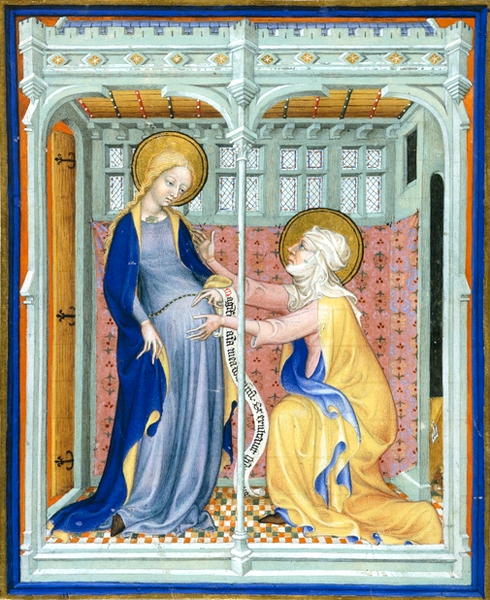 In the end, medieval people believed that the presence of male and female in creation revealed certain truths about God Himself. These truths should be “acted out” in our daily lives so that we might better know God. So for medievals, the confusion of genders not only denigrated God’s creation but obscured God’s revelation. This idea makes more sense if we think of life as a kind of play. The playwright has a particular message to get across to his audience. That messages requires each of the performers to know their role, and to know their lines. Forgetting ones lines wouldn’t be a sin, but it would obscure the play’s message for the audience. In this analogy, the “audience” would be those all around us everyday. We all have the responsibility and privilege of imaging God to others all the time. The diversity of creation reveals the “diversity” of God. Both the male and female “principles” reveal something about God, and again, we should not obscure the revelation God means to give through us. We looked at how St. Francis personified creation and even assigned various roles, or genders, to different parts of creation. The ‘male’ aspects are active, the female more humble and nurturing. 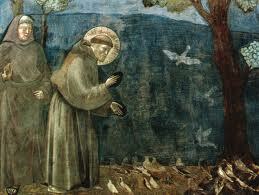 Despite this strong distinction, no one would call St. Francis a chauvinist. Lest we think this a complete relic of our past, why does some much love poetry involve the moon and not the sun? Why do we give our ships feminine names? Are we living in the past or recognizing in some way a fundamental truth about reality? Peter Kreeft discusses this in his wonderful “Love Sees with New Eyes” essay, which can be found here. I admit that the museum’s in D.C. are generally all great, even though despite living within striking distance I rarely visit them. Recently, however, I got a chance to visit Manhattan and the Metropolitan Museum of Art — an experience on a whole different level. 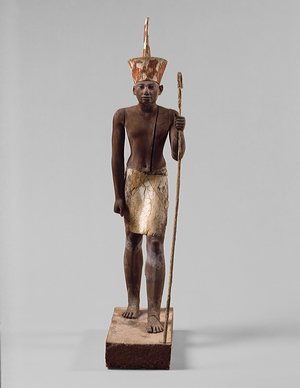 One couldn’t possibly see everything, but I spent some time in their extensive Egyptian wing and a thought struck me. 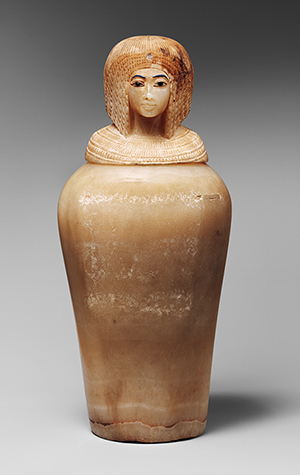 The museum laid out the pieces chronologically, not topically, and this gives one a chance to see the development of Egyptian style and technique over millennia. 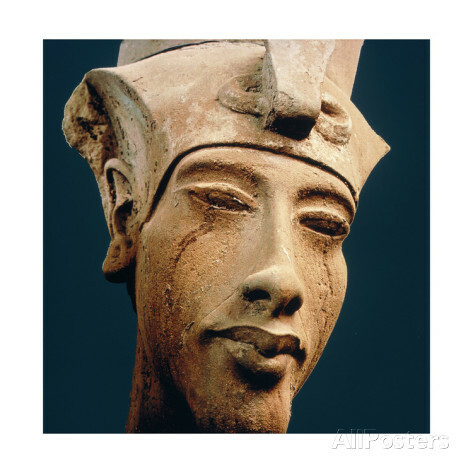 Now, very little changed over time — as a culture Egypt had a very strong identity and they did not necessarily value originality — but I had a flight of fancy that subtle differences emerge upon close inspection. 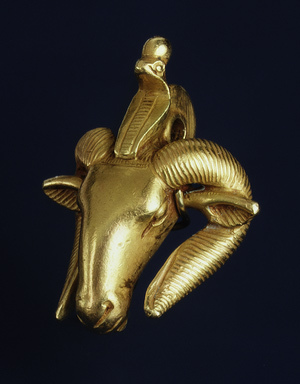 Below is some work from Egypt’s “Old Kingdom” ca. 2500 B.C. Next, examples from their “Middle Kingdom” ca. 1400 B.C. 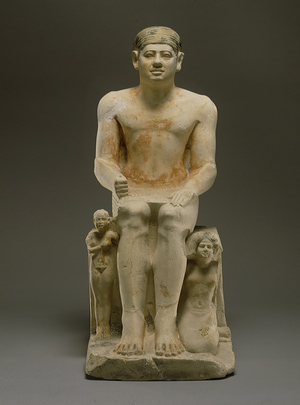 And finally, work from the “Late Kingdom” ca. 700 B.C. No civilization lives out its time as a perfect bell-curve of steady rise, peak, and smooth decline. Ebbs and flows interject themselves. 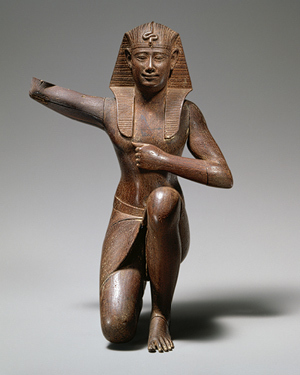 But we can safely say that Egypt as a “power” was on the rise early, perhaps peaked during the reign of Thutmose III in the Middle Kingdom period, and certainly continually waned after around 1100 B.C. and into the Late Kingdom. But the artistic quality does not follow this bell curve. In general their art evidences a steady increase at least in technical skill down through the Late Kingdom well past their political decline. 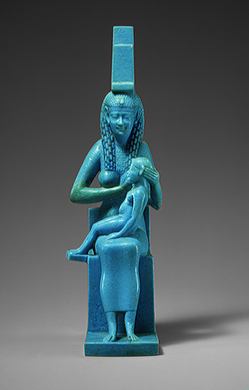 One could argue, however, that we see the most latent spiritual power in their earliest art. The somewhat stoic solidity of their craft in the Old Kingdom seems to be bursting with energy just waiting to get released. Might we say then, that the increase in technical skill not only does not mirror an increase in the overall health of their civilization, it might even be evidence for their decline? We see something similar in the history of Rome. 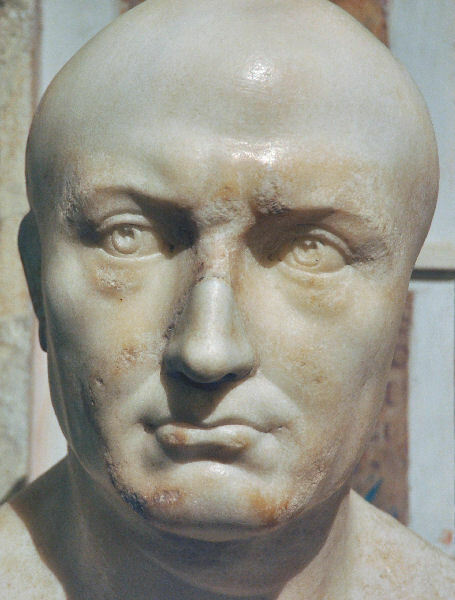 Here, for example is a bust of the hero of the 2nd Punic War, Scipio Africanus ca. 200 B.C. once again we see that technical skill in the arts has increased, and again we can draw similar conclusions about this increase as we can in Egypt. Rome has declined, but technical skill has gone up. 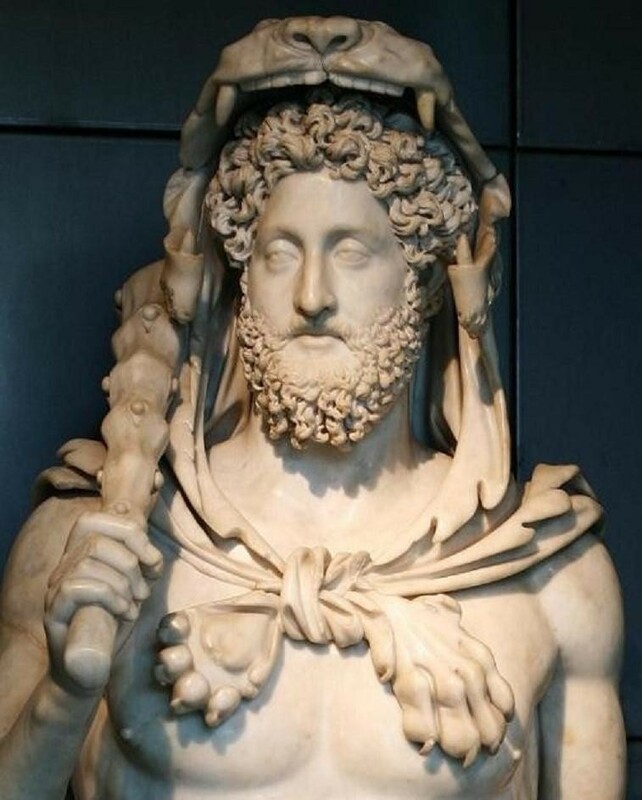 * We can also see a great deal more “spiritual” strength in Scipio than we can in Commodus, again similar to Egypt. All this should be taken in the spirit of this blog as a whole. I am a rank amateur making a guess. But if my guess be correct, why might it be so? We can understand why a civilization might lack technical refinement in its earlier stages. It has little to do with intelligence, I’m sure, and perhaps more to do with not having developed a clear style or sense of themselves. But if the early stages show some of the clumsiness of youth, it also displays some of the (irrational) confidence of adolescence as well. 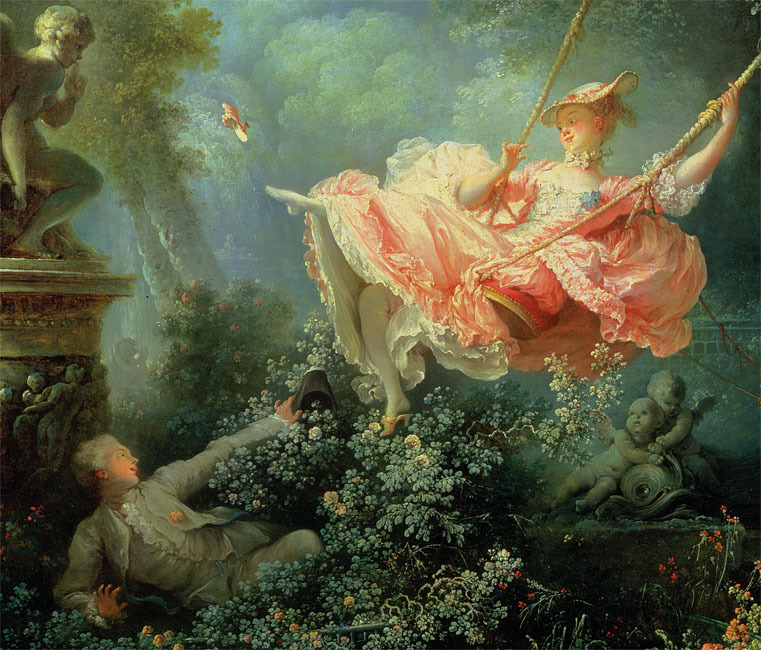 We can see this in Rococo art, for example, and the resulting storm that followed. One can see the French Revolution of 1789 as the fall of one type of European Civilization. It’s nice to celebrate simple happiness — nothing wrong with that. 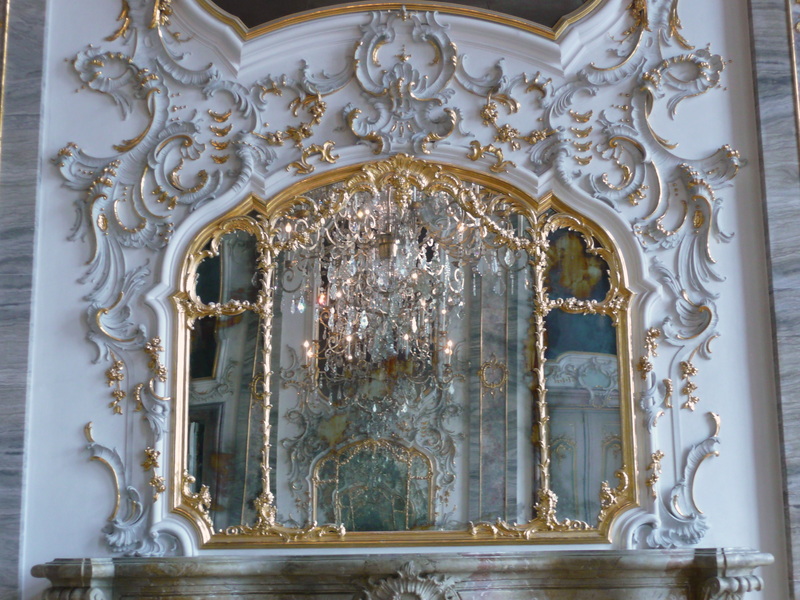 But for my money Rococo (mid-late 1700’s) goes too far . . . The monstrous retribution that fell upon that civilization both in terms of the French Revolution specifically, and the Napoleonic Wars generally, has its harbinger with the drastic change in art represented by Jacques-Louis David. 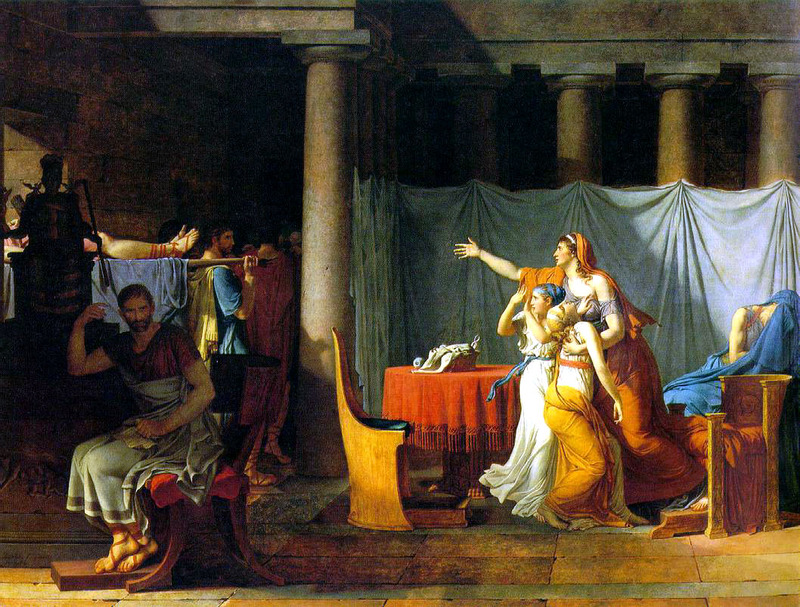 All sense of “refinement” gets sacrificed to stark reality, in this case, the consul Brutus receiving back the bodies of his sons he ordered executed for treason to the Republic. 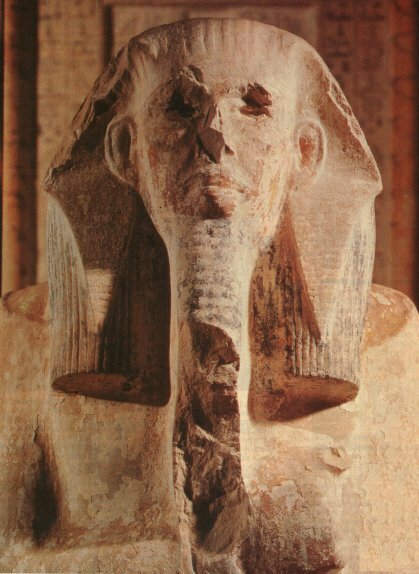 or the stark humanity of the much earlier Pharaoh Djoser (perhaps akin in style to bust of Scipio above, which might place their respective civilizations in the same spiritual framework). If this is a good/correct guess for these civilizations, we can ask whether or not it appears to be a law of civilizations generally, but We may wonder too where our civilization fits in this suggested interpretative framework. I think it obvious that many of our cultural creations do not evince the clumsy confidence of adolescence. I’m tempted to say that we focus on ways to multiply purely external pleasure, which might put us in an “Age of Refinement.” But if I say these things I will be following the pattern of every ancient historian in my, “Kids these days,” attitude, as well as most men generally past 40. I don’t know if I’m quite ready to embrace that just yet. 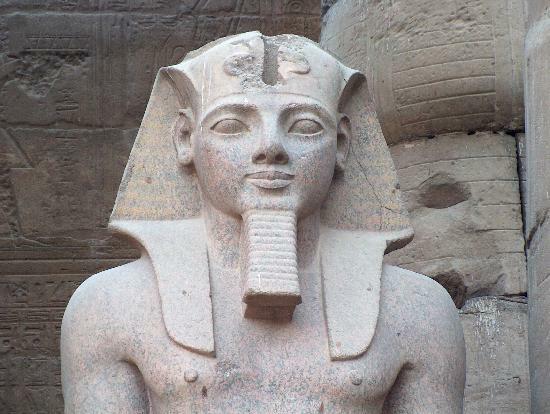 *There may be another parallel between Rome and Egypt — we might say that Thutmose III (ca. 1450 B.C.) and Marcus Aurelius (ca. 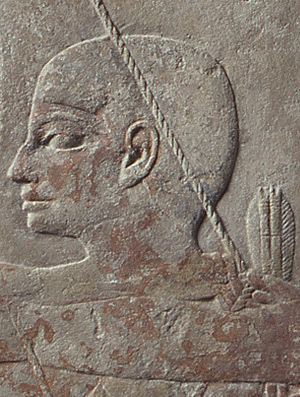 160 A.D.) represent similar places in the respective histories of Egypt and Rome. Both perhaps represent an “Indian Summer,” — a brief but ultimately failed rally against the tide. Most of us would shudder at the thought of visiting a medieval doctor. After all, they bled people to make them well and actually used leeches for treatment of wounds (doctors were actually called ‘leeches’ in the common tongue). This general aversion offers a great opportunity to get a fresh look at medieval people and see what they valued. How they thought about health reflected their deeper beliefs about humanity and the world around them. Hopefully by looking at a very different approach to health we can see the nose in front of our own face, and more accurately understand our own culture. I remember a conversation I had just after college. A woman asked me what I thought of Eastern medicine, and I replied that I didn’t know much about it, but was wary of the possible non-Christian foundations of eastern approaches. She asked me, “Are you so sure that western medicine has a Christian foundation?” I was struck speechless (a rare occurrence, unfortunately). I had to admit that I had never thought about it before, never seen the nose on my face, so to speak. In that spirit, I wanted the students to approach the subject with an open mind. 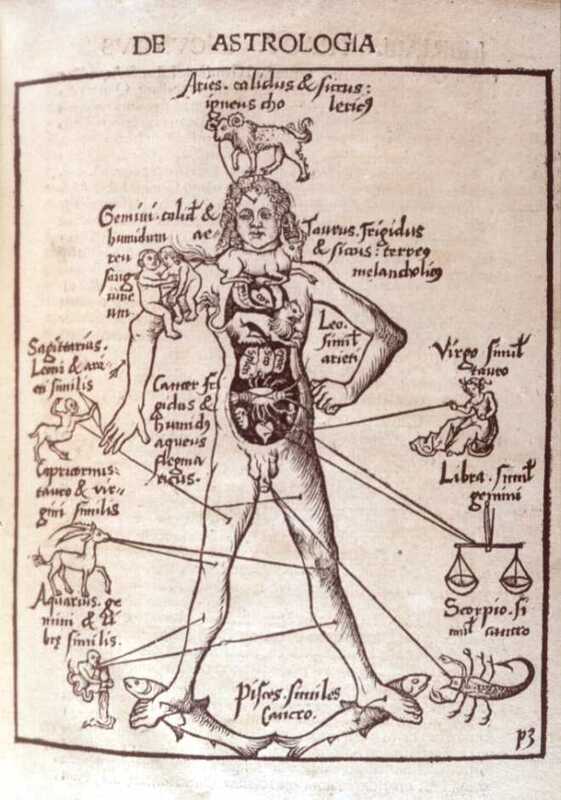 Just as the medievals based (consciously or no) their society on their perception of the order in the cosmos, so too they thought of health vis a vis man’s place in the universe. It was “holistic” healing in the widest possible sense. Originally, man stood in harmony with the rest of creation, just as Earth did with the rest of the cosmos. Man in harmony with creation meant man in harmony with himself, with his various internal elements of earth, air, water, and blood in harmony. The Fall disrupted this harmony, and so medicine should seek to restore it, to put the elements back in their right place. This concept of balance, so important in medieval politics, shows itself in medicine as well. Today we have various medical supplements that allow us to go beyond what is natural but for medievals the key was not fighting nature but restoring harmony with it. Internal harmony had its reflection again in the relationship between the physical and spiritual in our lives. Some mock medieval medicine by arguing that they thought every disease had its cure in prayer. That is not true, but they did believe that one’s mental and spiritual well-being impacted our physical state, and vice-versa. Their emphasis on the planets probably stands as one of their more perplexing beliefs, and for that reason perhaps most instructive for us. First, we note that the medievals saw the cosmos as interconnected like a spider web, not one of free- floating entities. Movement in one area effected other areas. Motion in cosmos impacts motion on Earth, which impacts us. This does not mean that they believed that planetary motion could cause actions on earth. Rather, planetary motion was considered part of the environment in which man operated, and had to account for. Here is Aquinas, for example, on the motion of the heavenly bodies and the limits of its impact. . .
Summa Theologica, Do Planets cause human action? Objection 2: Further, according to Augustine (De Trin. iii, 4) “the lower bodies are moved by the higher.” But the movements of the human body, which are caused by the will, could not be reduced to the movement of the heavens, as to their cause, unless the will too were moved by the heavens. Therefore the heavens move the human will. Objection 3: Further, by observing the heavenly bodies astrologers foretell the truth about future human acts, which are caused by the will. But this would not be so, if the heavenly bodies could not move man’s will. Therefore the human will is moved by a heavenly body. On the contrary, Damascene says (De Fide Orth. ii, 7) that “the heavenly bodies are not the causes of our acts.” But they would be, if the will, which is the principle of human acts, were moved by the heavenly bodies. Therefore the will is not moved by the heavenly bodies. But some have maintained that heavenly bodies have an influence on the human will, in the same way as some exterior agent moves the will, as to the exercise of its act. But this is impossible. For the “will,” as stated in De Anima iii, 9, “is in the reason.” Now the reason is a power of the soul, not bound to a bodily organ: wherefore it follows that the will is a power absolutely incorporeal and immaterial. But it is evident that no body can act on what is incorporeal, but rather the reverse: because things incorporeal and immaterial have a power more formal and more universal than any corporeal things whatever. Therefore it is impossible for a heavenly body to act directly on the intellect or will. For this reason Aristotle (De Anima iii, 3) ascribed to those who held that intellect differs not from sense, the theory that “such is the will of men, as is the day which the father of men and of gods bring on” [*Odyssey xviii. 135] (referring to Jupiter, by whom they understand the entire heavens). For all the sensitive powers, since they are acts of bodily organs, can be moved accidentally, by the heavenly bodies, i.e. through those bodies being moved, whose acts they are. But since it has been stated (A) that the intellectual appetite is moved, in a fashion, by the sensitive appetite, the movements of the heavenly bodies have an indirect bearing on the will; in so far as the will happens to be moved by the passions of the sensitive appetite. Reply to Objection 3: As stated above (Cf. FP, Q, AA,7) the sensitive appetite is the act of a bodily organ. Wherefore there is no reason why man should not be prone to anger or concupiscence, or some like passion, by reason of the influence of heavenly bodies, just as by reason of his natural complexion. But the majority of men are led by the passions, which the wise alone resist. Consequently, in the majority of cases predictions about human acts, gathered from the observation of heavenly bodies, are fulfilled. Nevertheless, as Ptolemy says (Centiloquium v), “the wise man governs the stars”; which is a though to say that by resisting his passions, he opposes his will, which is free and nowise subject to the movement of the heavens, to such like effects of the heavenly bodies. For them, paying attention to planetary motion might be akin to us today paying heed to a weather pattern off the coast of Japan. But again, Aquinas hints at something more than this, something with more weight behind it. C.S. Lewis, a professor of Medieval & Renaissance Literature, used these ideas in his Chronicles of Narnia series, as well as books like Perelandra and That Hideous Strength. Different planets had different impacts. Of course the planets outside of earth had no sin, so the influence of some was not bad in itself, but often became so when interacting with our own fallen environment. Saturn’s influence tends to make people introspective, moody, and inwardly focused. This makes sense when we realize that the Greek name for Saturn is Cronos, where we get our language for time. The idea here is of one who broods, who navel gazes. Saturn is associated with the “melancholy” personality type. Melancholies can achieve great heights in artistic, intellectual, and spiritual endeavors. Many of our great geniuses likely had this personality. But the danger comes when they live too much inside their own head, isolate themselves, and subject themselves to psychological debilitations like depression. Jupiter received its name from Jove, the Roman name for Zeus. Hence, Jupiter brings kingly joy. When the king is happy the people feast. People come together and sing, dance, eat, etc. 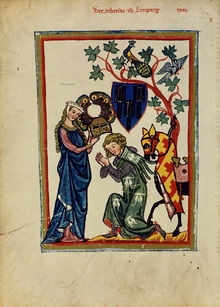 This concept of communal joy was the highest good for medievals, which they associated with the “Sanguine” personality type. Mars of course brings war. The “red planet” is associated with anger, and thus its earthly mirrors can be found in strong ‘Type A’ personalities. What should strike us about Mars being the “Infortuna Minor” is that the medievals did not think war as bad as a nation of isolated brooders. War brings many evils, but a silver lining can be that it does bring people together — and here we see again the medieval “community” emphasis. Venus brings love, and is often linked with romantic love between a man and woman. Again, we have an interesting contrast between their world and ours. For us, nothing can be greater than experiencing romantic love, but for them, nothing was great than “joviality.” Again, we see the community emphasis, and when we step back from romantic love, we see that while it does bring two people together, it also can isolate those two from others around them. Isolated joy between two people cannot match communal joy for the medievals. All in all, we have more of the medieval world with us than we might realize. Some hospitals actually use leeches! I hoped the students enjoyed our short detour into an odd corner of the medieval world.